The Connecting Cambridgeshire project, which is working alongside Openreach (BT) to help extend fixed line “superfast broadband” (24Mbps+) coverage from around 96% today to 99% of premises in the UK county by the end of 2020 (here), has secured a £4.15m funding boost to help connect rural businesses. 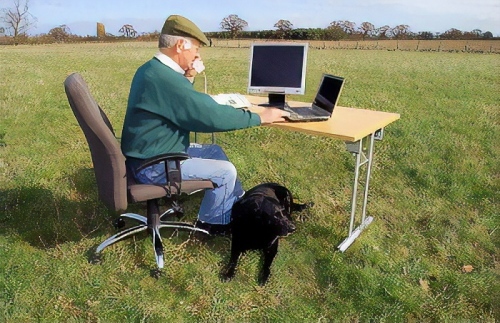 The extra funding appears to come from the UK Government’s Rural Broadband Infrastructure Scheme (RBIS) and is intended to help around 700 remote rural businesses (SMEs) in areas where superfast broadband services are not currently available. We should clarify that this latest boost is on top of the recent £5.6m investment by the Cambridgeshire & Peterborough Combined Authority and £4m from the Government’s new Local Full Fibre Networks (LFFN) programme, which were both recently confirmed as part of the region’s new digital strategy (here). The original announcement was made over a week ago but we didn’t receive a press release and are thus only now becoming aware of it. Sadly no further details have been released to help clarify how the money itself will be spent or which technologies and suppliers will be used. Qplease could we have broadband at Cb223gp. We are so close to Cambridge but have no or very slow broadband. Really difficult for us to work from home.